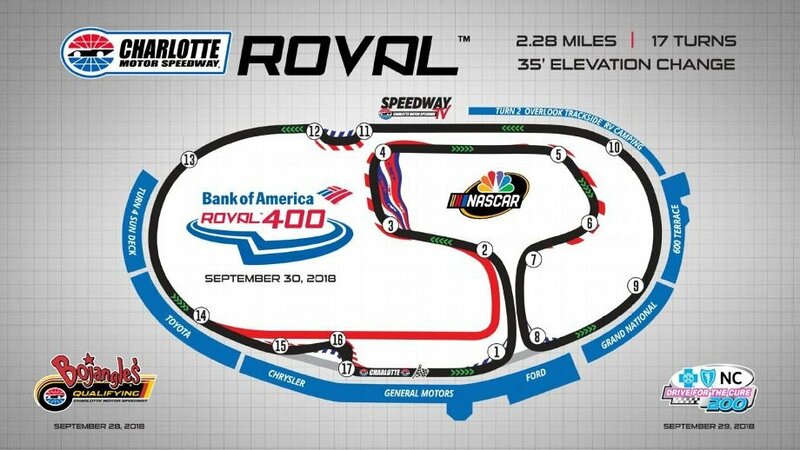 CONCORD, N.C. (July 9, 2018) – Charlotte Motor Speedway expanded on its groundbreaking new era of innovation on Monday, with the unveiling of a new, dynamic logo for the Sept. 28-30 Bank of America ROVAL™ 400 race weekend – which will feature the first playoff road course races in NASCAR history. Like NASCAR’s first 600-mile race and the first superspeedway race at night, the inaugural Bank of America ROVAL™ 400 is going to be a can’t-miss event that fans will remember forever. We’re about to witness a dramatic, historic, unforgettable race weekend Sept. 28-30,” Smith concluded.